Okay, so What I Wore Wednesday never happened last night. I know you were all anxiously awaiting that post. Ha! Actually, we spent last night watching the movie 127 Hours. It's about the guy that was mountain biking by himself and while walking through one area, a rock fell on his arm and trapped him for 127 hours! He almost died but ended up cutting his own arm off to get free. But, be warned, the language is bad. And the arm being cut off is pretty gruesome. 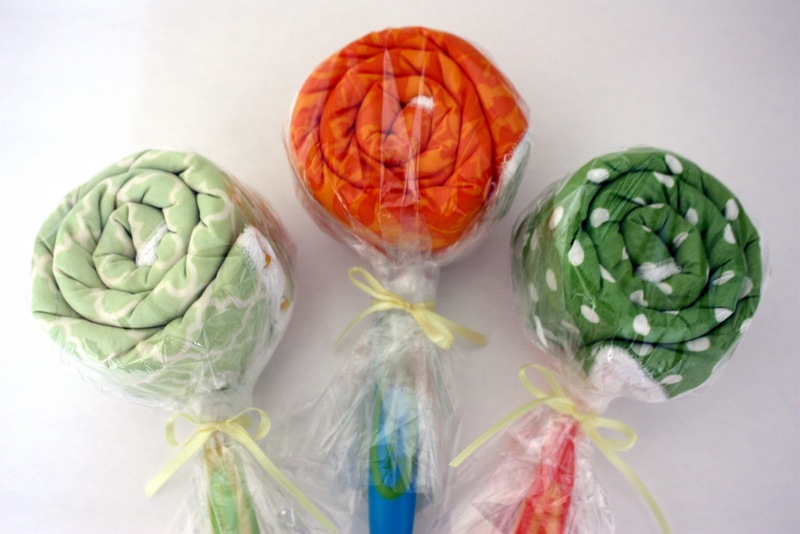 Okay, now that we've talked about a man cutting his own arm off, let's move on to burpcloth lollipops. My friend, Kate, also ordered these. 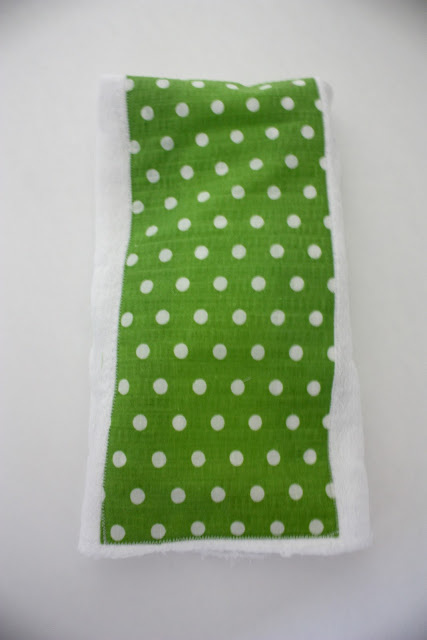 I embellished some organic, Gerber cloth diapers and made them burp cloths! 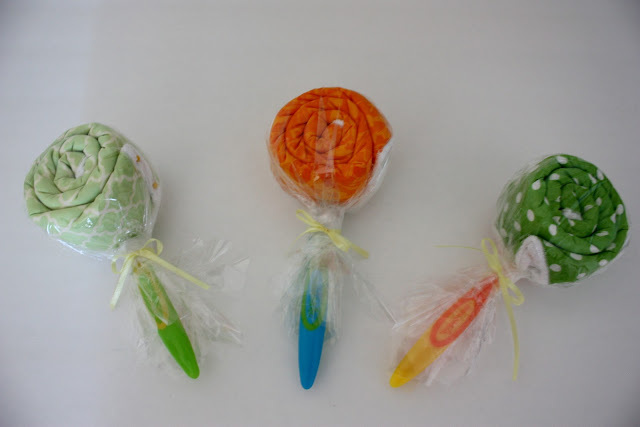 Then, I made the burpcloths into lollipops! A friend told me that burpcloths were one of her favorite gifts when her daughter was born. She said she used so many of them every day! 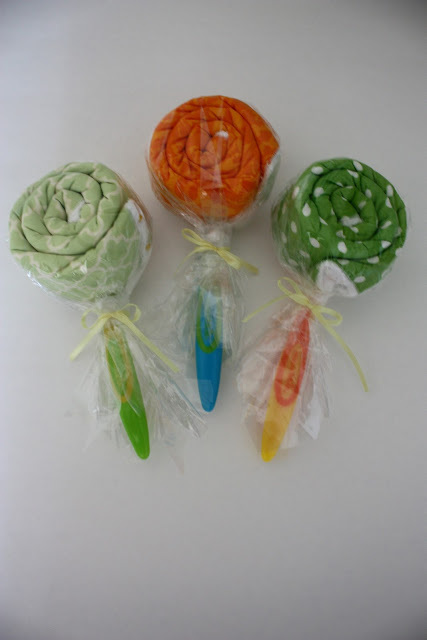 So this has become my choice of baby gift for any shower I go to! How did Monday and Tuesday get by without me blogging? It was a busy weekend and I think I'm just now starting to recover. 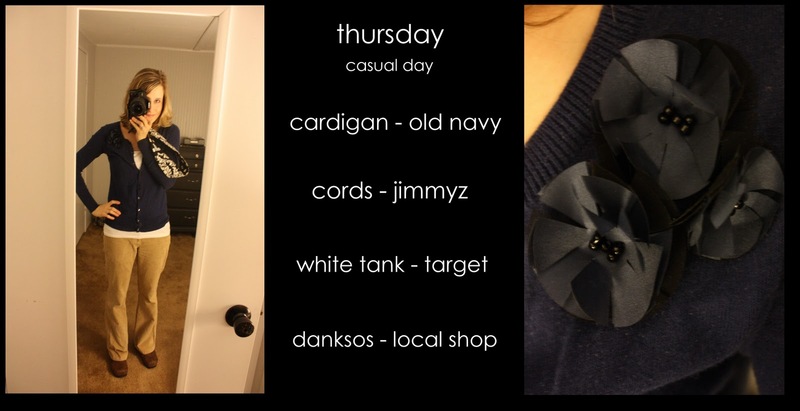 Hopefully I'll post my What I Wore Wednesday post later tonight! I am starting to make onesies to sell and I thought I would share a few that I have made so far. This first post will show the ones I made for my friend, Kate. Both of her sister-in-laws are pregnant so she placed an order for a few. I had so much fun with these! There are a few more I've done since then, I'll hopefully post those soon! 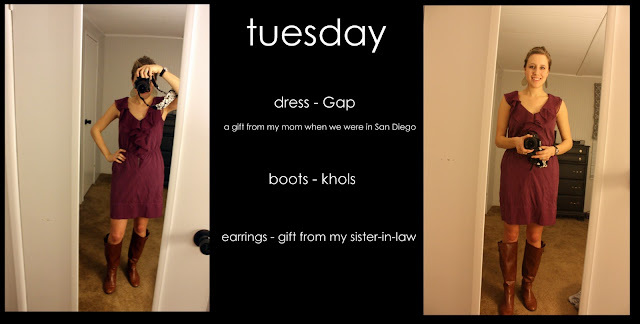 I made it back for another What I Wore Wednesday post! I know it's crazy that I'm taking pictures of myself every morning, but it really has made me work a little harder - I try not to always go straight to my cardigans and black dress pants now! [You can click on any of the collages and they get bigger]. But, keep in mind, I'm normally taking these pictures at 5:50 or 6:00 in the morning. So the lighting is terrible. And I've just gotta go with what I get, since I'm getting ready to leave for work and don't have time to play around with taking different pictures. Thursday is our dressdown day at work. So I always try to take advantage of that. And, don't you love that I just said I don't resort back to my cardigan and then BAM, first day in, I'm in a cardigan! Ha! You'll realize as you go through this week that my sister-in-law Katie pretty much accessorizes me. She always gets me jewelry for my birthday and that collection is by far, the cutest in my stash! I'm terrible about picking out jewelry but she's so good at it! This is my uniform all Spring and all Fall. Seriously. Long-sleeved shirts and shorts are my absolute favorite. So I take advantage of it any time I can! I didn't feel too bad since he had just vetoed my mom on a "rag" that she was wearing the night before! And the boots were actually a gift from my Bon Bon. I'll have to tell yall about her sometime :) She's the best. Everyone needs a Bon Bon. Promise. Wow. Definitely slacked off this day. What can I say? It was a Monday! My mom and I went to San Diego in January. I had a business trip and drug her along. Of course the weather was gorgeous there so they had their Spring clothes out. My mom treated me to a couple of outfits :) I'm so excited to finally get to wear those outfits here now, since it's Spring! This is actually a dress but it looks like a skirt and top :) Love that. No tucking my shirt in my underwear [thanks for the trick, Mom] and tugging on it all day long as it tries to slip out of the skirt! Who's going to join me this week over on Lindsey's blog? The brown cube on the right is a surprise, from my daddy. He let me pick out hardware for my cube. And when you open it, you'll see my initials burned into the lid of the cube. But what's inside the point of the cube? The top layer hold some of my regulars. Then, a layer down I find my silver jewelry. Is that not the best surprise ever? I made another skirt like this one for my college roommate. 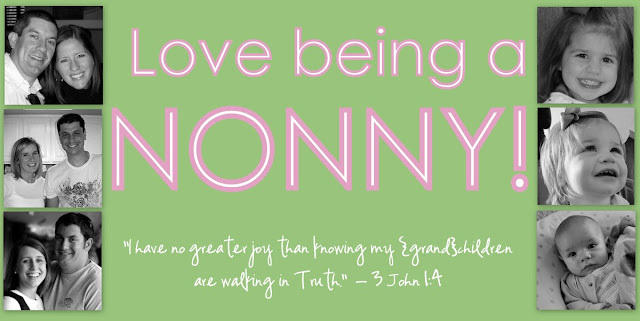 I made a new header for FMIL's blog. Picasa makes it so easy! Now if I'd just kick it in gear and finally make a new one for my blog! Like I mentioned last week, my college roommate, Kate, is getting married. She is amazing. She planned my entire wedding. I mean from start to finish. She will probably be a famous wedding planner some day. That all the big stars want. For real. She is that good. So of course, you know her wedding is going to be amazing. Just to give you an idea of how good she is, she got engaged last July. by the end of August. She is also DIYing a ton of her wedding. One of her fabulous ideas was having a craft day. She had all of her bridesmaids come and craft everything from flowers to table decorations to frames to favors to the candy jars being used for the candy table. [Sidenote: Have you been to a wedding with a candy table? The coolest thing ever]. So, on that day we all got together at her parent's house. Her mom, who is an amazing cook [and was like my local mom while I was in college], made lunch for all of us and we sat around and crafted for like seven hours. Can I just say, I was in heaven. That is my thing, yall. Seriously, I love it - so crafting with a bunch of my favorite people for a full day was so.much.fun. While we were there Kate showed us a little project that her mom whipped up. It was such a good idea [yes, it runs in the family :)] that I told her she had to have a spotlight on the ol' blog. 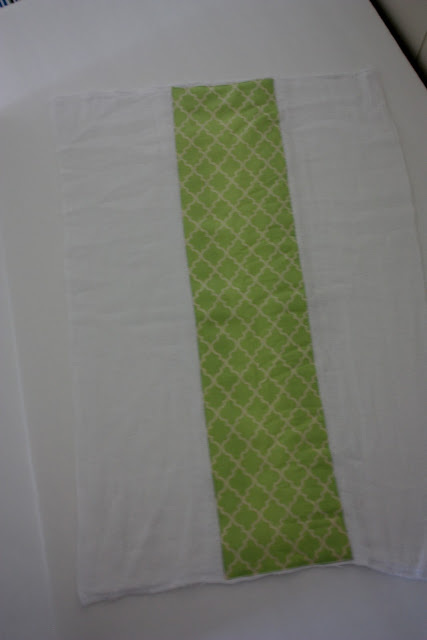 She found some tea towels in the dollar spot at Target and decided to use a few of them to make a table runner. Here's Vanna, err...I mean Kate, showing it off. Isn't that the best idea ever? Super easy, cheap and the cutest table runner ever! 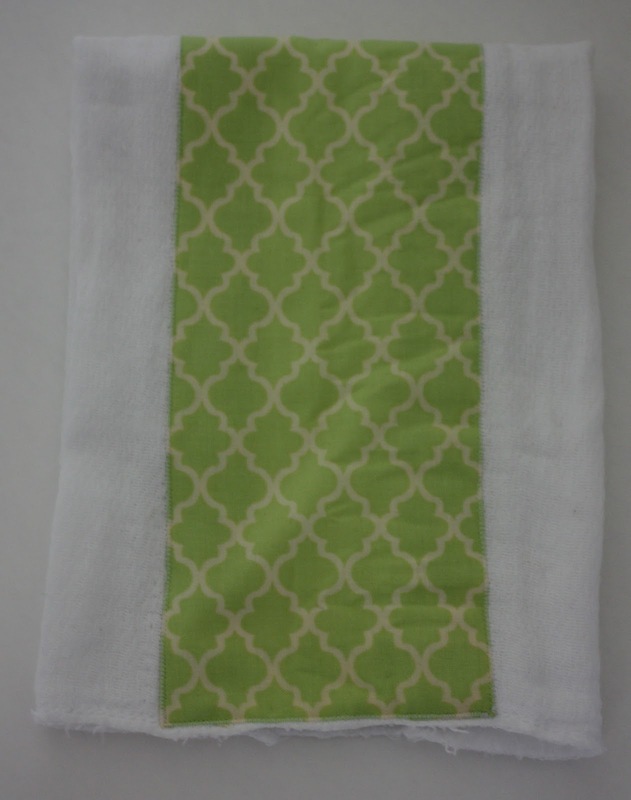 Now run along and get your dollar spot tea towels! But one condition - I want to see pictures! It would make me super happy! I decided to join the What I Wore Wednesday madness over on Lindsey's blog this week. I follow a few blogs that participate in this and they always talk about how difficult it is to wear new outfits from their closet and how difficult it is to take pictures of themselves. I didn't think it would be that hard. But, Y'ALL! It is tough. So don't make too much fun of how ridiculous I look. Also, I thought I did a decent job of switching up my outfits, but with the pressure on, it was hard to make sure I was wearing different things and not always resorting to black dress pants and a cardigan. That's always my go-to combo. Black boots: Boutique in San Diego for $17! Headband from my sweet friend, Heather. It's from a local boutique and I love it. Okay, whew, thank goodness that's over. Hopefully I'll get a little better at this - and a little more creative over time. I really do want to do better about using what I've got to make "new" outfits. I've got some work to do but hopefully next week will be an improvement. I came across some cute fabric in the clearance aisle at JoAnns a few weekends ago. I just googled a tutorial and found this one and this one. I used those as a starting point and tweaked along the way. ...in the snail mail today! Especially when I open a package with all these pretties in it! I think I scared the mailman at work.